The album the world has been waiting for literally a year has finally been released. 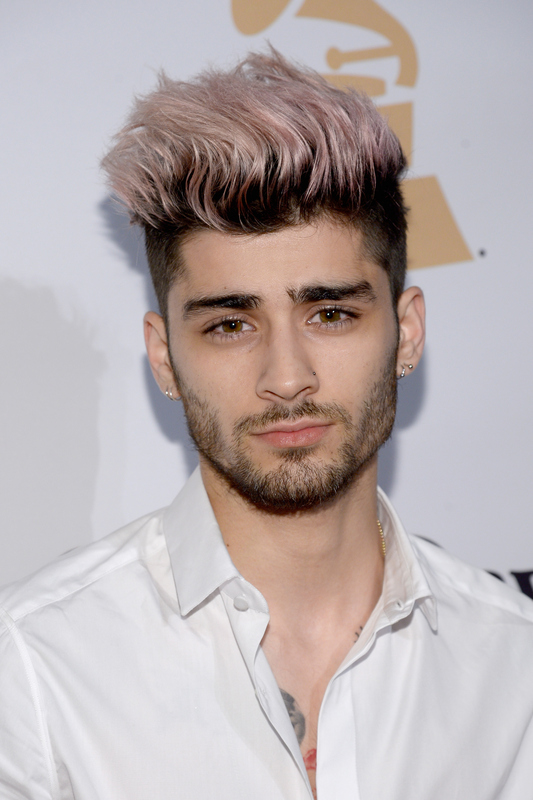 Zayn Malik debuted his first solo album Mind of Mine Friday. Of course, this is a huge deal for a few reasons. First, because the prospect of Zayn going solo has been on everyone's mind since the 23-year-old artist announced his departure from the boy band One Direction on March 25, 2015, and secondly, because everyone wants to know what Zayn can accomplish on his own. (Really, we're wondering that in reference to all the boys from the band, but since Zayn's the first, he's basically got the spotlight on him here). So, of course, in honor of the album's release, I had to do a deep dive and rank each song on Mind of Mine according to their level of greatness. It's albums like these that separate the Justin Timberlakes and Beyonces from the Nick Carters and Nick Lacheys of the world. Zayn likely knew he had to make this an album for the decade — and thankfully, he didn't disappoint. While some songs are of course a little better than others, the album as a whole is a lyrical masterpiece. Not to mention, it's way more adult than that of all the One Direction songs combined, which I'm sure is exactly what Zayn was going for. Before you get ready to pump up the jams, though, here are which songs you should check out first. I realize that this was his first single off the album, and it's kind of a cop out to choose the first song released... but I don't care, because I think it's the best song on the whole album. Yes, this is exactly how he spelled and capitalized this song, and many of the other songs on the album for that matter. While the incorrect format does bug me, this song does not. It is the second best song on the entire album and really sets the tone. I love the vibe of this song. Too often, artists sacrifice quality music for the need to sound different from the rest, but this song sounds different from anything I've heard — plus it's still a great song! I love the kind of funky vibe of this track, and the throwback to a little bit of old school sound. Soundwise this wouldn't be my favorite song, but I love the lyrics so much. This album is so great about highlighting how he felt in a certain time, and really touching on a lot of important parts of life. This one definitely takes him out of the boy band persona, since within the first 30 seconds he talks about not-so-innocent things. I'm loving what this song represents. It has slowly become one of my favorites from Zayn. It took me a minute to understand what the title of this song was, but once I got that it was supposed to be "Before," it became one of my ultimate favorites. Any album that has an intermission has got to be good. I love that he knew there was going to be so much music that people might need to take a break and come back to it. He was right. There is nothing wrong about this song. Malik hits the nail on the head with this one, and it may be enough to earn him some recognition next awards season. 11. "PILLOWTALK- the living room session"
I thought I couldn't love this song anymore, but then I heard this acoustic rendition and fell in love all over again. I am beginning to think that Malik should always perform ballads, because he is just so good at them. This one is a little bit jazzy, which works perfectly for his voice. This one is really fun, and I honestly wasn't expecting it. Any song called "She" I would expect to be a breakup anthem, but it's actually really cute. Could the "she" be Gigi Hadid, maybe? For a second I was hoping this song was about his best friend Tio and how they have been there through it all with each other. Unfortunately "TiO" actually stands for Take It Off, and I'm apparently the only person who didn't know that. Yes, he's blue because he's sad. That's why this song is so far on the list. Not because it's not good, but because it was just a little too obvious for my taste. The spelling has been bugging me for most of this album, but I actually like the way he spells this song title. Sadly, there is not a whole lot else that I like about this song, but points for the cool spelling! I have this theory that any song title truth or with the word truth in it is never as truthful as I'm hoping for. I wanted him to spill all of his One Direction secrets in one banger track, but no such luck. Maybe that just wasn't on his mind. This song seems like a foreshadowing for his career post One Direction, because it's looking pretty bright. I'm loving the lyrics in this song and its evolution. I do love this song, but kind of sick of remixes and updated versions at this point. There is such a thing as too much of a good thing. I'm putting this last on the list, because I'm going to be honest, I had to take a good 10 minutes to figure out what the title of this song was. Any song that makes me work that hard isn't worth it. Way to go on a job well done, Zayn. There are some pretty great dance anthems on this song, and I have a feeling it could be one of the best pop albums of the year.